It’s estimated that more than 80% of Americans will experience an episode of low back pain at some point in their lives. The cost of treating back pain? Over $100 billion annually. 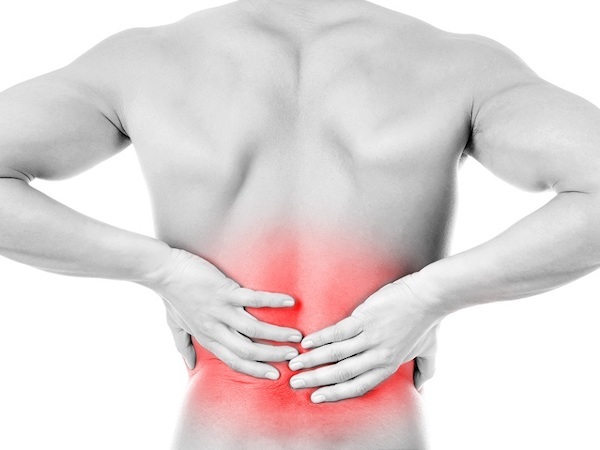 And did you know, a major cause of low back pain comes from an activity you do every single day? Sleeping on a mattress that isn’t giving you proper support can contribute significantly to the development of all kinds of ailments along the spine – including your lower back. Whether you’re looking to alleviate your current pain or avoid it all together, a latex mattress can be a godsend. One of the many benefits of buying a latex mattress is that some latex mattress companies allow you to customize the firmness of your layers. Latex mattresses are typically built from 2-4 layers of latex foam sheets. The firmness of each sheet is measured through a standardized unit called ILD (indentation load deflection). This gives you, the consumer, greater control over how soft or firm your mattress is, allowing you to dial it in precisely to provide support tailored to your needs. The choice of latex as a material for a mattress is superior for dealing with back pain because latex will cradle your entire body without giving you the sinking feeling that memory foam is known for. Sleeping on latex alleviates pressure points that develop at critical points like your knees, hips and shoulders, which in turn helps prevent pain in these areas. So how do you figure out what firmness is right for you? The best advice you can get is from a qualified customer support team at a well-established latex mattress manufacturer or retailer. They’ll discuss your stature, sleeping position and any current discomfort you are experiencing to help you select a proper configuration. The following is an example of how working with the right company can give you flexibility in your options and make it easy to find your absolute perfect fit. Let’s say you’re of average height and weight for a male or female and you like a medium feel on your mattress but would like that “softer” feel on top. To create a lower profile mattress, start with a three-layer model and select extra firm for the bottom layer, medium for the middle layer and soft for the top layer. Your mattress will arrive in several boxes with a zippered cover ready for assembly. If after sleeping on it a few nights you decide you would like it just a little firmer, rather than return it, all you do is unzip the cover and switch the top two layers around so you have the medium on top. Placing the medium on top of the soft is going to give it a softer feel by virtue of its new placement. In some cases, the mattress manufacturer will also give you the option to split any one layer so that both partners have their choice of firmness. With these various options you can see that the mattress layers are there for you to arrange the best possible mattress suited just for you. And if all else fails and you think one layer just isn’t working in the configuration some companies have a generous return and exchange program. Latex is an incredible choice for mattresses and we know from our own experiences that once you sleep on it, you’ll never go back!